It was all going so well. At first glance, our newly purchased, first-generation Toyota RAV4 appeared to have shrugged off the rigours of 20 British winters without too much trouble. 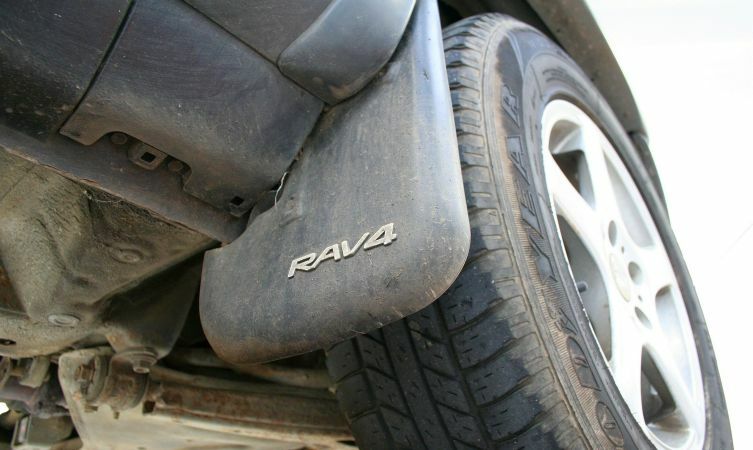 The underside and both sills were rock solid, and although the paintwork was looking a little tired, the monocoque bodyshell that was so novel in a four-wheel drive vehicle at the time of the RAV4’s launch bore no visible signs of rust. The previous owner had evidently tried to protect the car in various ways, such as fitting wheel arch extensions (see opening image), mud flaps and a decorative plastic bull bar, as well as maintaining a regular servicing schedule. 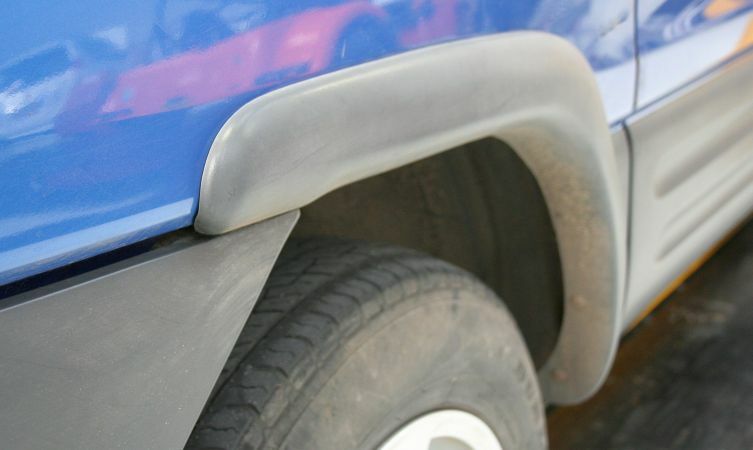 But then the harsh reality of the damage our salt-treated roads can eventually wreak on bodywork was exposed when the optional plastic wheel arch extensions were removed during the early stages of our clean-up regime. What lurked behind revealed the result of salty moisture being trapped close to the bodywork, a protected environment that offered an opportunity for rust to get a grip on the bodyshell without being noticed. Ironically, the RAV4’s bodywork would probably have survived much better without these extensions. Of course we are a little disappointed by these findings and now realised that the cost of restoration would escalate beyond our initial expectations. But we were also determined to keep going and root out all the rot with professional repairs. So the RAV4 was taken away on a trailer to one of Toyota’s approved bodyshops. There was one bonus that could be derived from this extra work. 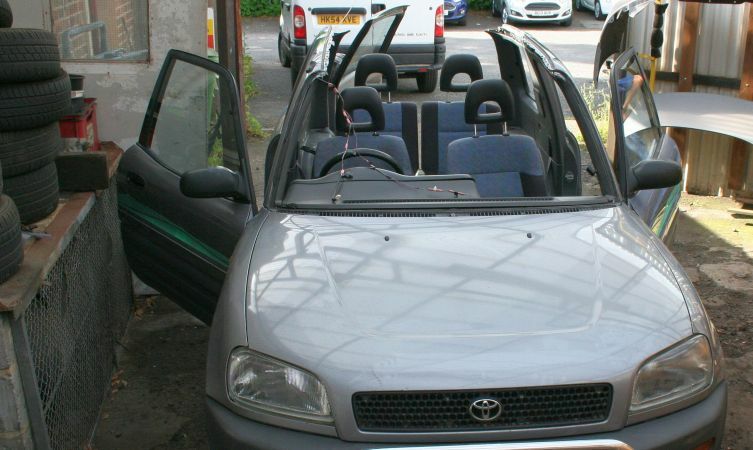 While the RAV4 was in the bodyshop undergoing surgery, the opportunity now presented itself to replace the entire roof panel and interior headlining, which had been forced to accept a rudimentary aftermarket sunroof at some point in the car’s history. 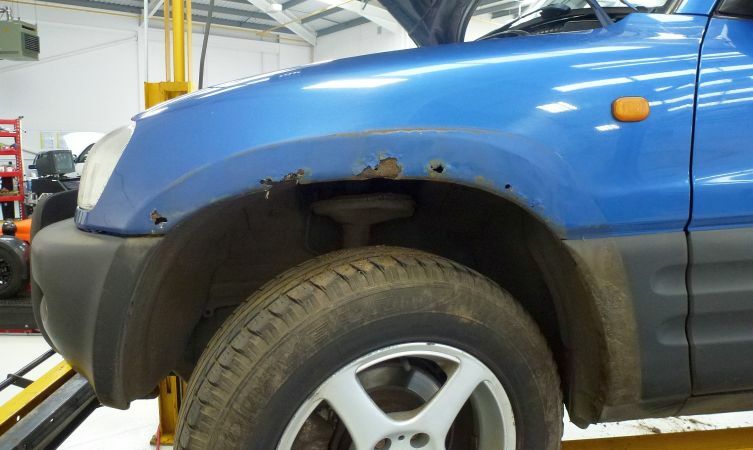 Not only was this an eyesore that ruined the car’s originality, we knew that fitting it had removed one of the three important cross braces connecting and reinforcing both sides of the car (see image below). In view of these factors, we couldn’t wait to restore the car to factory specification. In order to do this, we bought an additional, similarly aged RAV4 to use as a donor vehicle. It had not been looked after very well and was in poor overall condition, but the roof was sound and had not been cut open. Handily, the car also donated a number of original trim pieces that would otherwise be difficult to source brand-new. 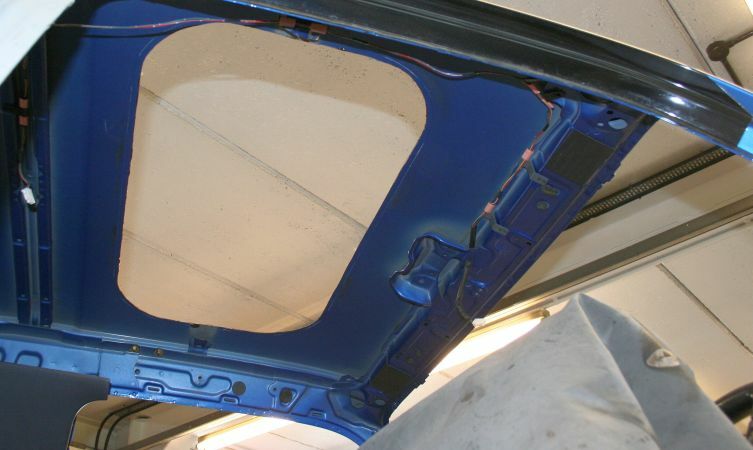 As you can see from the picture below, no time was wasted retrieving these items from the donor car – removal of the roof being a relatively simple but painstaking process of drilling out the numerous spot welds along the drainage channels and lifting the panel away. Little did we know it at the time but this level of effort would set the tone for the rest of the restoration. 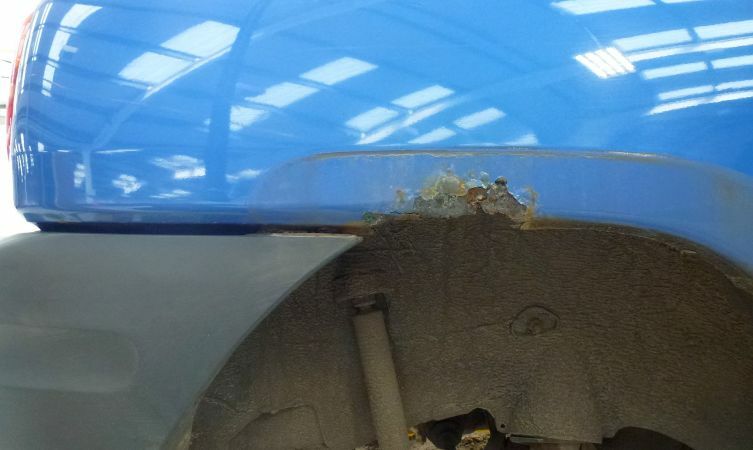 Look out for the next instalment where we will update you on the car’s progress in the bodyshop. Thanks for getting in touch, that sounds like you have a great project on your hands! You may be interested in taking a look at the history of the Celica here:http://fal.cn/Aqdl. Anyone know of a good 3door mk1 bodyshell ? Hi Graham, thanks for sharing your Rav4 weather station build with us. If you ask us, you’ve chosen the perfect base for your project. Have you made many changes to the interior as well?